A new inbound-ready website is supporting IFIS's mission to create greater engagement with end-users and has yielded a huge increase in qualified lead generation. 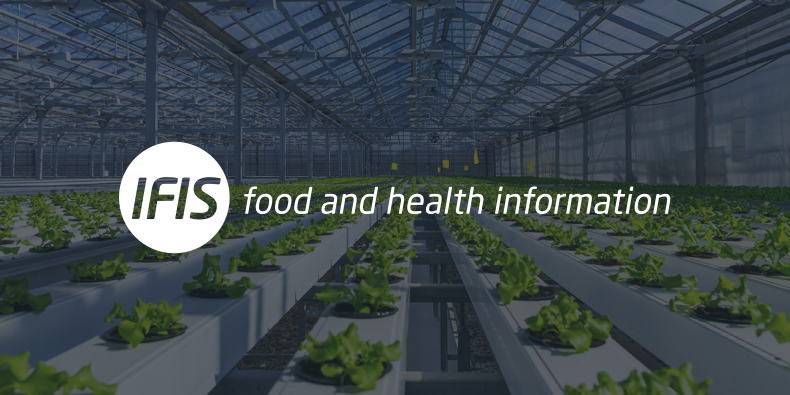 IFIS is a not-for-profit academic publishing organisation committed to improving knowledge of the sciences of food and health across the world. Founded in 1968, IFIS is the result of collaboration between four internationally recognised food science and technology organisations. Since its inception, IFIS has always striven to be a forward-looking organisation, adapting to meet the changing needs of its users and adopting new technologies that help to further its mission. IFIS was an early adopter of HubSpot and has continually pushed to drive greater benefit from the evolving platform, including moving their website on to the HubSpot CMS in 2015. In 2018, Rhianna Jones, head of marketing for IFIS, approached Blend about taking the organisation's website and inbound lead generation to new heights of success. Jones saw an opportunity to drive up performance through a reimagined website consistent with IFIS’s future-facing attitude and optimised for traffic and lead generation. IFIS selected Blend based on our proven track record for building websites that support and enhance inbound results. Academic publishing is a dense and specialist area - the accuracy of the information being supplied to end-users being of the utmost importance. This does not mean, however, that IFIS must present itself as stuffy. 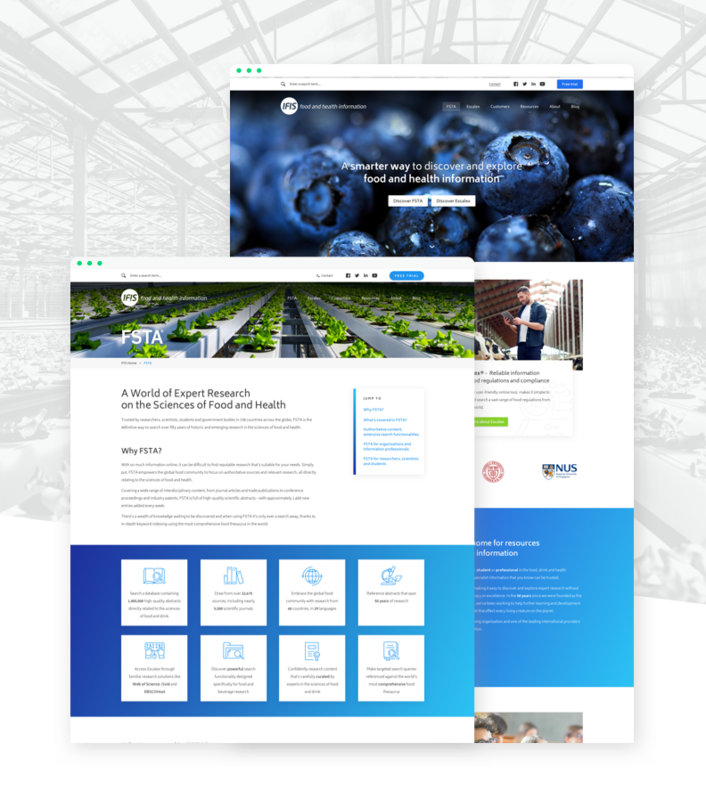 Together, IFIS and Blend envisioned a vibrant, welcoming and compelling website - reflecting the passion and commitment that it puts into its product and the exciting developments they are helping to make reality. Working with input and support from IFIS, Blend wrote, designed and built a completely new website, on the HubSpot CMS. Our expertise in inbound marketing and the HubSpot CMS enables us to ensure that each website we work on includes powerful techniques for driving traffic, engaging audiences and converting visitors. From the concise, efficient copy that communicates IFIS's complex offering with finesse, to the bright, colourful design that inspires action, the entire website is given a warm and engaging personality. The customer journey and user experience is optimised through careful design of site structure, restrained navigation and the effective placement of relevant calls to action. Designed and developed specifically for the HubSpot CMS, the website leverages the platform's unique features to load quickly, convert effectively and integrate seamlessly with the organisation's marketing automation and inbound marketing efforts. Blend produce high quality work and are a great team to work with. Their expertise in HubSpot and thorough processes also instil confidence. They took great care to understand our business, not just what we do but who we are, and to capture that in the copy and look of the new website. Once the new website was launched, Jones monitored the performance across key metrics including traffic, leads and, crucially, trial requests (aka Marketing Qualified Leads). It was not long before the impact could clearly be seen. While overall visits to the website displayed an adjustment down - the result of an intentional consolidation of content - the conversion rate jumped up, staying above 1% for four consecutive months for the first time since tracking began in 2011. With the website doing a far better job of communicating IFIS's value proposition, it has generated a record number of new leads. More importantly, free trial conversions specifically have increased by 180% - with 66 requests in the four months immediately following launch compared with 23 in the same period the year before. This increase in conversions and free trial requests is immensely valuable to IFIS as they move to engage more deeply with their end-users, who will typically access their product through partner platforms. We have received so many compliments from the wider community on how fantastic our new site looks, and have seen a dramatic increase in qualified website conversions. Blend and IFIS continue to work together to expand and enhance the website. 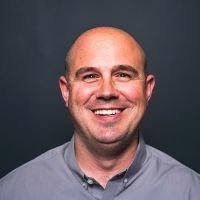 In addition, Blend is delivering sales enablement and training services to empower IFIS’s business development teams to make the most of HubSpot’s CRM and Sales tools.